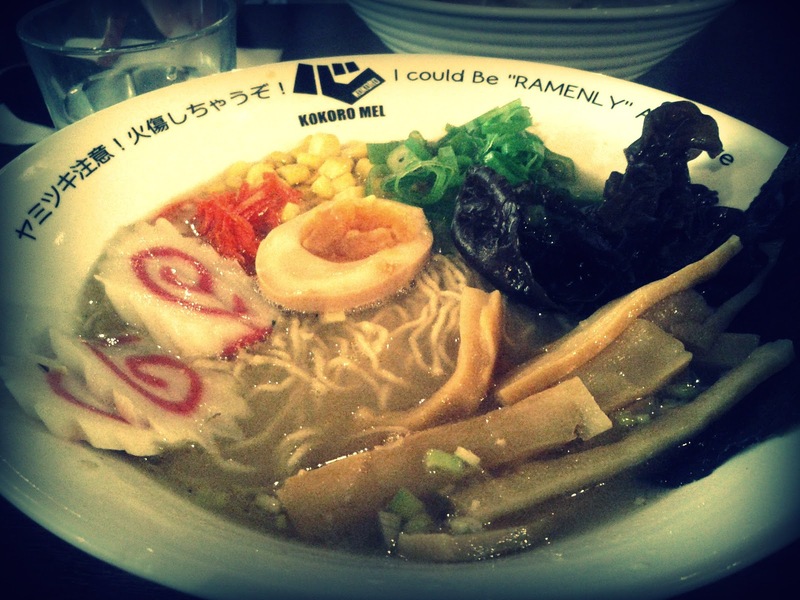 Phil suggested trying Kokoro Ramen after spotting a story about it, so at a second attempt we met there for lunch. It has only started opening at lunch recently and there were plenty of tables to choose from when we arrived around 12:15, and it gradually filled up while we were there. 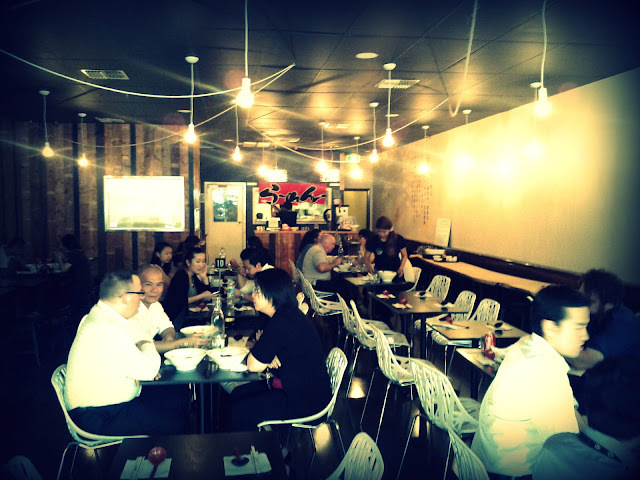 It's a fairly big space and feels a little cavernous with several rows of tables leading back towards the counter where orders are placed. Menu's are provided at the table offering a range of standard soups based on the the 3 or 4 types of stock, as well as the option to build your own soup by choosing the stock and selecting some of the ten or so toppings. I selected number 6, actually the first of the standard options which which had veggie toppings including corn, spring onion, egg and mushrooms on the cloudy and very flavoursome chicken and seafood broth. 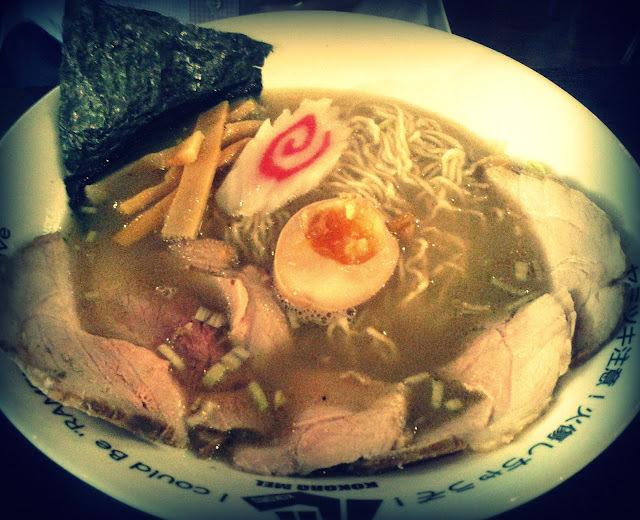 It certainly raised the bar in terms of texture, taste and richness compared to previous bowls of ramen I'd tried! Phil went for number 7 on the menu, in the same stock with decent slices of pork. He also enjoyed and highly rated his generous serve of soup and apparently house made noodles.